SONIK is presently one of the leading brands of quality electronics and electrical home appliances in Nigeria, for example, great stabilizers, electric standing, ceiling, wall and orbits fans; electric iron, rice cooker, sandwich maker, hot plate, gas stove, blender, in and out entryway TV recieving wire, miniaturized scale wave broiler, halogen broiler, rechargeable lamp, Heaters, electric flame broil, Gas Cooker pot, water container and so forth. 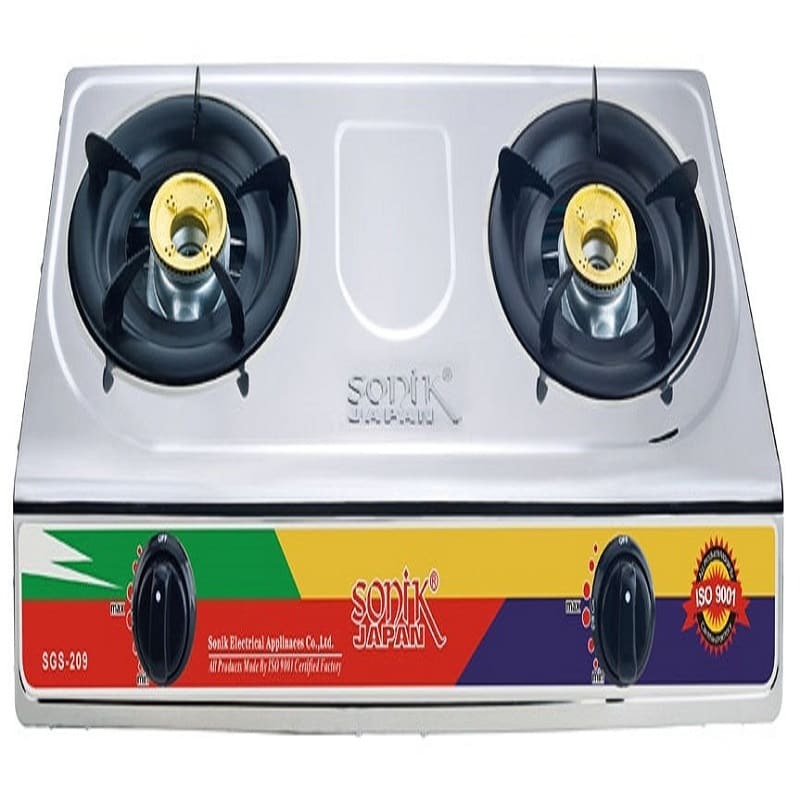 Sonik SGS 209 Gas Stove is a good blend of comfort, portability and durability. It is made from refined stainless material that gives the gas cooker it elegant look, excellent quality and long lasting durability. With this gas stove, you will be able to cook up to three meals at the same time comfortably.